JDPL Sports is venture capitalist who supports sports brands in an effort to expand their access to equities markets. They work with brands in everything from exotic sports cars and antique cars to golf and museums. 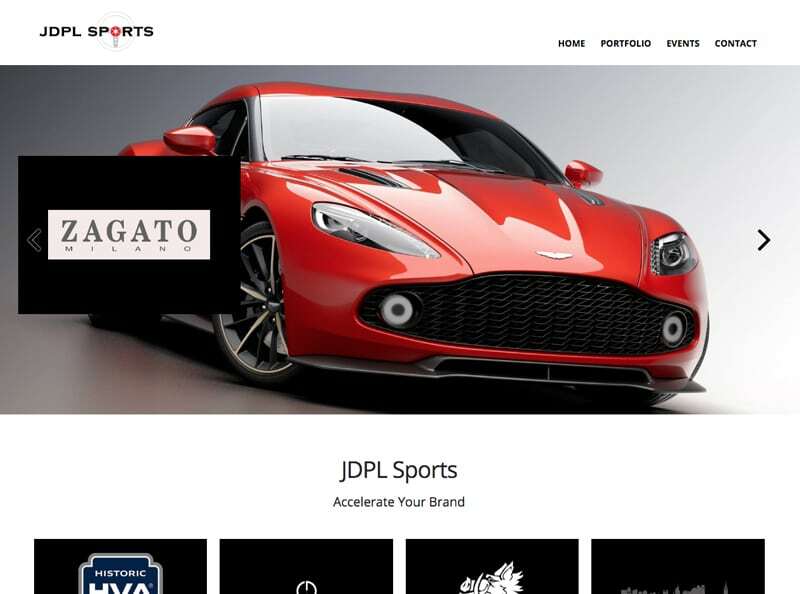 JDPL Sports had been running for a significant time without a website but they felt it was time they had an online presence in order to wheel in new investments. JDPL had a previously designed logo but beyond that they weren’t sure how to display themselves as a leading sports investment firm. JDPL came to ClickFirst in search of guidance for their online presence and website design. They wanted to highlight their current investments as well as their coming up events that the JDPL team will be attending. ClickFirst began by brainstorming strategic ways to emphasize JDPL’s investments and differentiation through the new website design. The solution featured their key investments throughout the website while simultaneously implementing a clean corporate design to attract future investment opportunities. The combination of the are meant to impress prospects firstly with the professional design and secondly with their portfolio’s array of investments. ClickFirst wanted to provide JDPL with more than just an impressive design, they wanted to give them a revenue generating machine. With this in mind, ClickFirst found crucial areas in the website that could be used to convert website visitors into full fledged prospects through the use of well designed and copy written call to actions.